These days, 3D printing is all about production, with 3D printer manufacturers looking beyond their existing industrial machines, designed for one-off parts, and toward mass manufacturing. 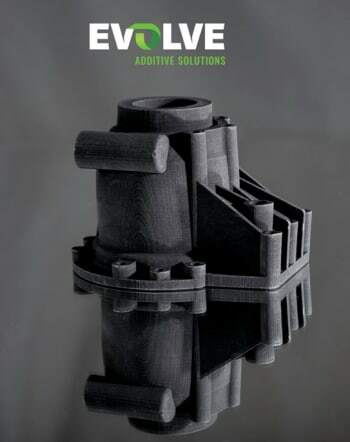 Stratasys, one of the leaders in the additive manufacturing (AM) industry, is no different, and its latest move has resulted in the creation of an entirely new company that promises an unprecedented production technology. 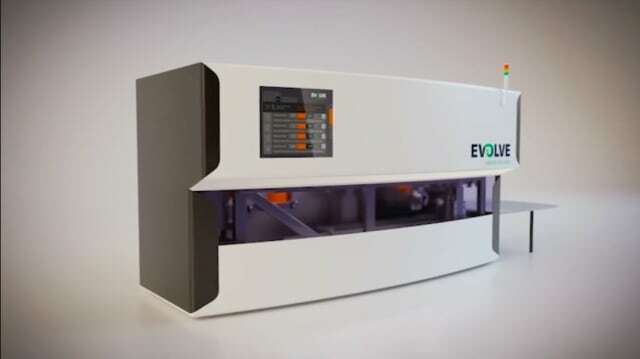 After nearly 10 years of research within Stratasys, Evolve Additive has just spun off with its Selective Toner Electrophotographic Process (STEP) AM technology. Engineering.com spoke to the company to learn how STEP may be steps ahead of other AM processes in terms of speed, materials and other capabilities that put it on par with injection molding. STEP is unlike any other AM technology yet on the market, including more recent mass production processes like Multi Jet Fusion (MJF) from HP. It does, however, rely on technology found in laser printers and photocopiers, but electrophotography is just the beginning. STEP works by electrostatically charging a roller, which then passes over the build material, attracting the plastic particles onto the roller into the shape of an individual object layer. The particles are then transferred onto a conveyor belt, which carry the layer to a build platform, where it is fused onto the preceding layers. In the existing version of the STEP machine, this reciprocating platform is moved back and forth continuously until the print job is complete. The tray then exits the machine and, using water, the supports are washed away from the printed objects. According to Evolve Additive, STEP is 50 times faster than the fastest AM technology available, high speed sintering, a process similar to MJF. As important as that throughput is for matching the cost and output of mass production technology, as with injection molding, it means nothing without quality. STEP, however, offers quality as well as speed, not just in terms of aesthetic finish, but also strength. Chief Business & Marketing Officer Bruce Bradshaw pointed out that the current STEP machine has a dimensional accuracy of 600dpi and .005in; minimum feature size of 42 microns; and layer heights of between .001in and .003in. Evolve claims that, aside from removing water-soluble support structures, there’s no need for polishing or sanding during the process, as might be the case with fused deposition modeling (FDM) and other technologies. In addition to creating parts with surface finish that, according to the company, rivals injection molding, this technology speeds up the entire manufacturing process, as little post-processing is required. Perhaps more importantly, the resulting parts are isotropic, meaning that the individual layers fully fuse and have strength in the X, Y and Z directions. This is due in part to the fact that the Evolve machine heats not only the part, but also the incoming layer so that neither cool 100 percent, bonding the new layer to the part about 300 microns down. The Z-axis in parts made with FDM and other techniques is notoriously weak, giving STEP another big advantage over other AM technologies. Bradshaw also suggested that, in addition to the ABS that the technology now prints with, STEP will be able to work with every material available in injection molding—though the material must be specially processed to operate in the STEP machine first. In total, STEP is designed to compete directly with injection molding, providing a method for producing batches of parts currently not tackled by mass production technology, but much larger than possible with existing AM processes. However, even a 16-cavity injection molding system cannot perform mass customization. With STEP, it would be possible to cost-effectively produce batches of completely unique parts. Such applications include 3D printing patient-specific invisible aligners. Evolve performed an analysis in conjunction with a local injection molding house called Vistatek to determine the differences in price and speed of making a bracket for a fiber optics customer using injection molding, as compared to STEP. Making the mold in about two weeks would cost $2,000, leading to cycle times of 25 seconds per part and a total cost of $2.64 per part, including the cost of the mold. With STEP, it’s possible to 3D print the same components in batches of 768 parts in three-hour builds with cycle times of 14 seconds per part and a total cost of $1.38 per part. Whereas it would take two to eight weeks for the customer to receive the brackets made using traditional methods, with STEP the process would take only a day. Bradshaw pointed out that apart had not even been designed yet that could take full advantage of the design possibilities of AM, including lightweighting the part or combining assemblies into a single printed component. Such geometric complexity, as well as mass customization, could further make the case for switching from injection molding to STEP. And this is just STEP in its current form. Bradshaw and Chillscyzn also presented what they envision the Evolve technology will look like in the near future. As of now, the system features a single reciprocating tray that moves back and forth under the conveyor belt. Future versions will see the tray pass from the machine along a track to other stations, where subsequent production steps will be autonomously performed, thus speeding up production time and opening up interesting possibilities. 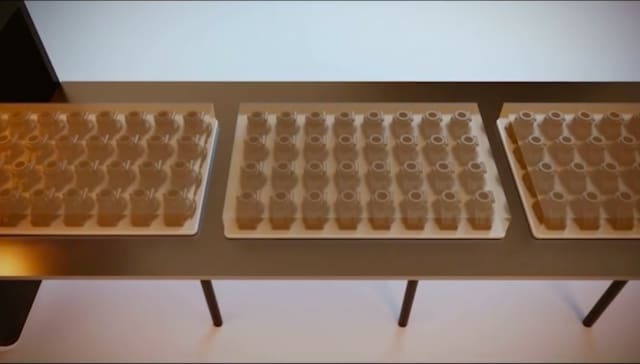 In the process, trays can be taken offline and interlayer processing can be performed, such as adding electronics or carbon fiber sheets for reinforcement. As a tray exits the production cycle, it can move to a part removal system, where automatic support removal can be performed, as well. Other possibilities include the ability to print with multiple materials and colors. Currently, the imaging engine on the system has five bays where the base material (such as ABS) can be held in one bay and CMYK toner particles can be housed in the other four. Or, two separate materials can be placed side by side. Bradshaw described the ability to print a rigid material, like ABS, printed alongside a flexible material, like TPU, to create a new metamaterial—or printing the majority of an object out of ABS and then printing the outer layer in TPU to create an arm rest all in one piece. When these capabilities are released, Evolve will be able to further compete with companies like HP that are promising to unveil similar techniques, as well. Evolve is already in talks with companies like Oracle, SAP and Siemens NX about making it possible to integrate STEP into existing factory settings. That way, introducing a STEP machine into the production workflow should not disrupt how a manufacturer already makes its products. The company also hopes to rely on existing track makers so that its future STEP system can integrate into the existing track hardware seen in factories around the world. Evolve is still two years away from commercialization. The company already has alpha machines out in the field and will be placing beta machines next year before shipping products commercially in 2020. 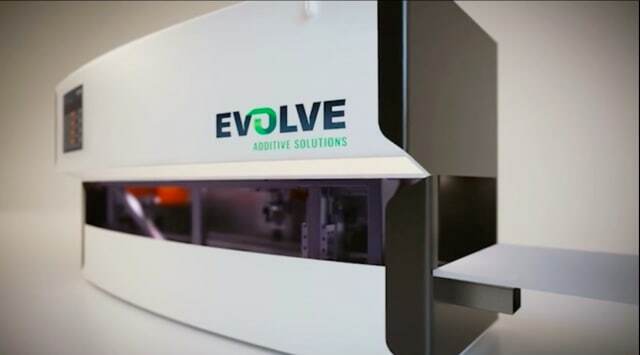 To learn more about the company, visit the Evolve Additive website.